It came out of the blue. On the morning of March 1st, former Kamloops Blazers forward Tim Bozon woke up in hysterics, screaming at the top of his lungs in his hotel room in Saskatoon. By the end of that day, he was in a coma that would last 12 days and was diagnosed with a rare form of meningitis. 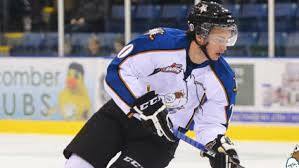 Now, three months later, Tim Bozon is very much alive and so are his NHL dreams. Sports reporter Marty Hastings brought CBC Daybreak the exclusive interview. He reached the Bozon family by phone in France on Saturday.